The F-CAT 500 is a new selective soldering system equipped with a Servo Jet Point Spray Fluxer System. 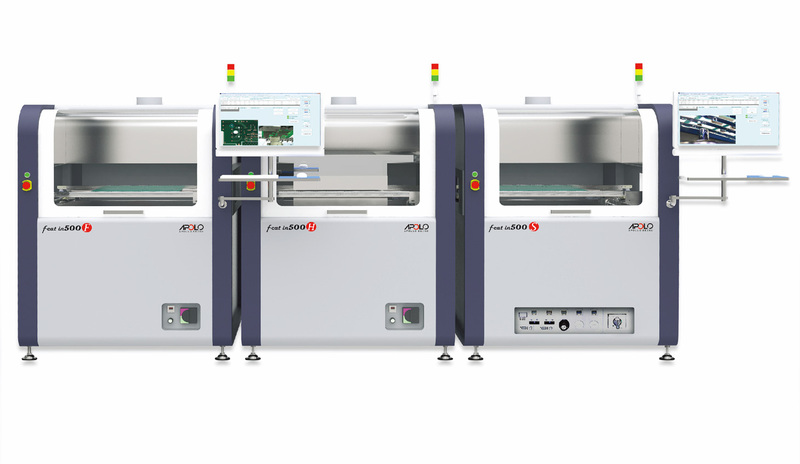 Continuing to be innovators in the selective soldering application market, the F-CAT 500 fountain selective soldering system completes the soldering machine line of product offerings from Apollo Seiko LTD. We can now provide solutions that meet the needs of all selective soldering application requirements. The Servo Jet System allows for precise flux application on small targets and through-hole components. XYZ Programmable Solder wave from a special nozzle allows users to make soldering easy & accurate.